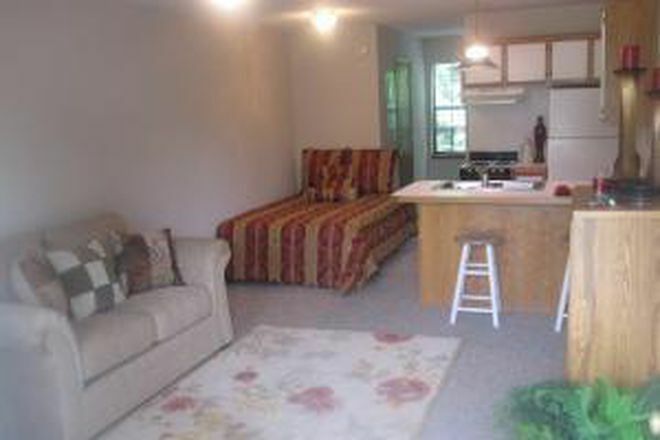 We have small studios, and 3 large studio options at this location with all utilities including Internet. 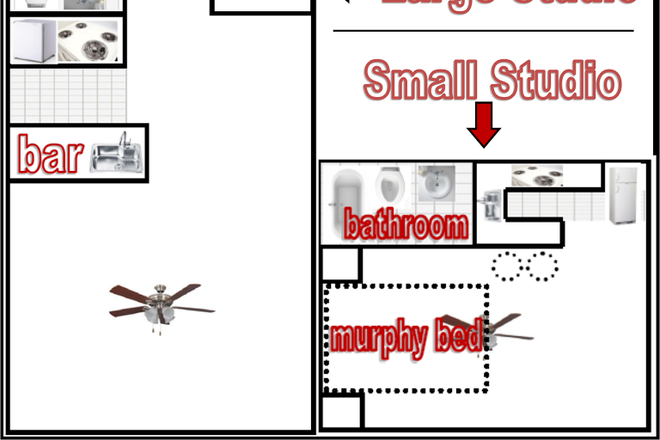 Our small studio is 250 square feet, with a Murphy bed, bar stools, full kitchen, ceiling fan, and 2 closets. 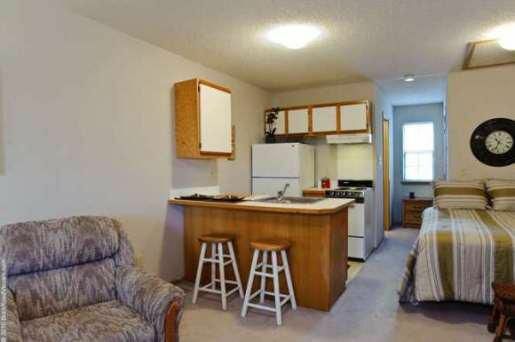 The small studio rents for$505 per month. 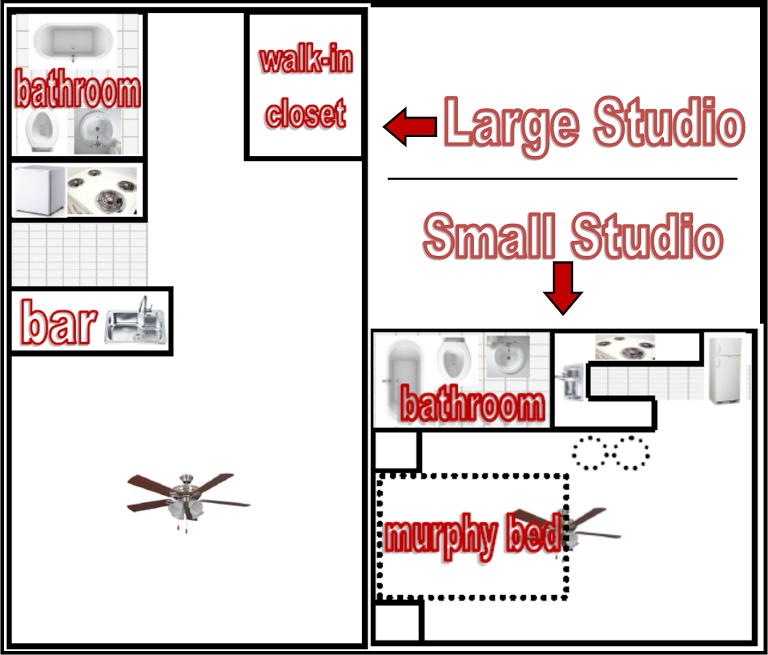 Our large studio options are all 500 square feet, with a walk-in closet and ceiling fan, but have different kitchens. 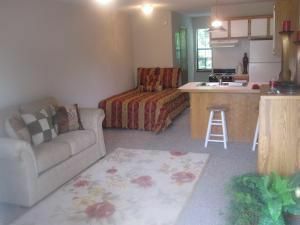 Option 1- small fridge, 2 burner stove top, no oven, and microwave, for $560 per month. Option 2- small fridge, full stove top, and oven, for$570 per month. 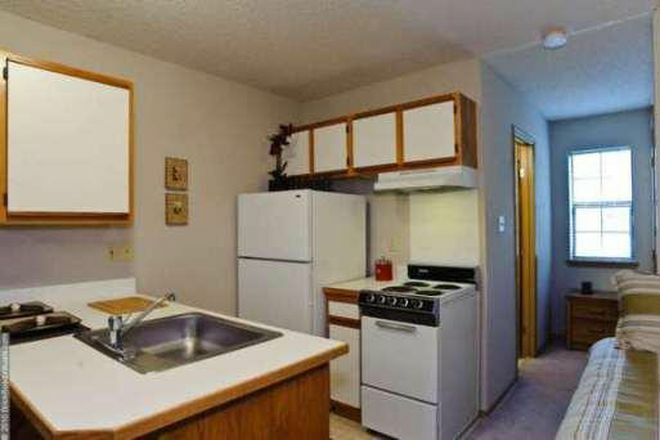 Option 3- full size fridge, full stove top, and oven, for$580 per month. 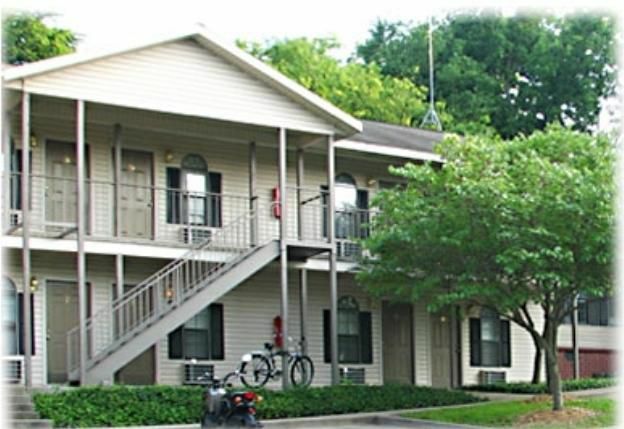 Laundry is located on site, with 2 separate laundry rooms. 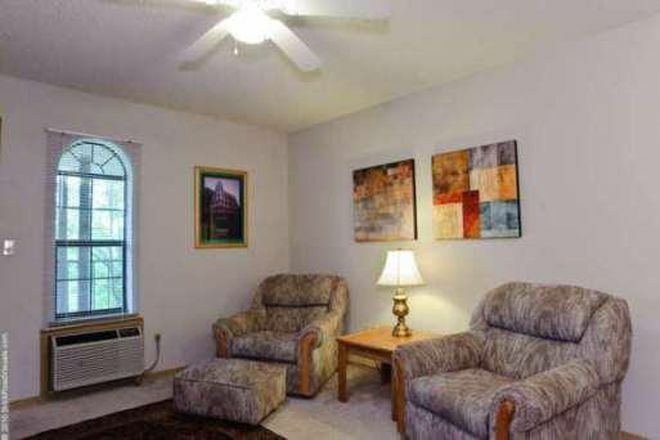 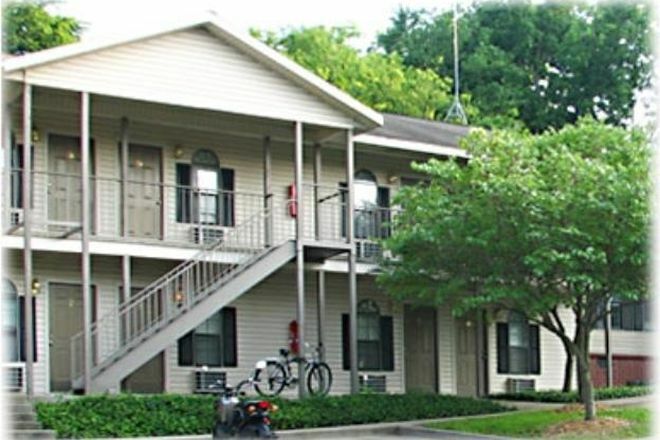 All utilities are included in the rent and each apartment has free Cox Communications high-speed Internet.